A little while back Martin sent me an email telling me he was going to redo the Lake Schafer outing that he had done in the 128v. He wanted to know exactly what fish was available in my area. Two new fish have appeared since he made the original outing. One was the Asian Carp (an invasive species), which my son shot with his bow, which a game warden asked if he could take. It's the first one that has shown up in our area. The 2nd is the musky. We had 2 major floods in 2008 and 1 in 2009. The Musky made it's way thru the dam systems. They came from Lake Webster which is famous for their Muskies. This Lake is approximately 100 miles north-east of our area. 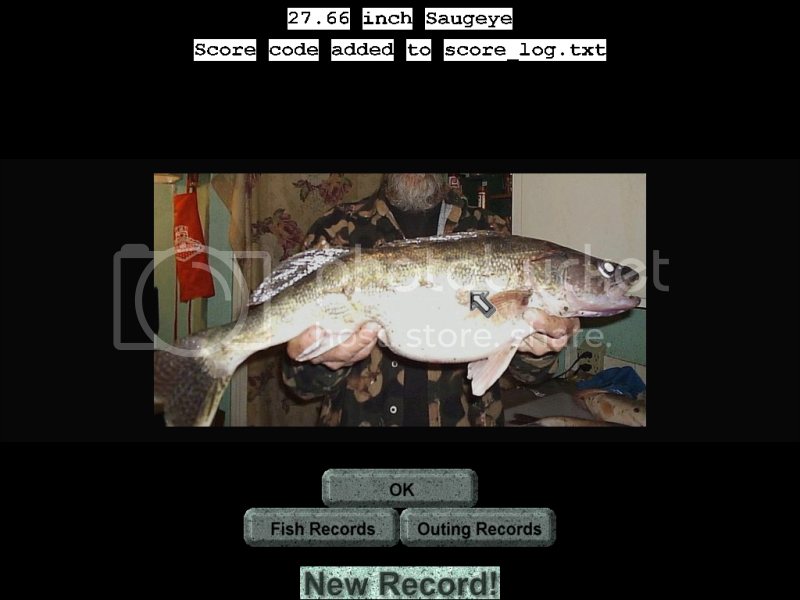 Last fall while I was wading by the bridge below Norway Dam, I saw about a 12 inch Redtail (redhorse) jump out of the water and shortly something huge came up just below the surface. I threw a spinner bait in the vicinity and hooked something huge. 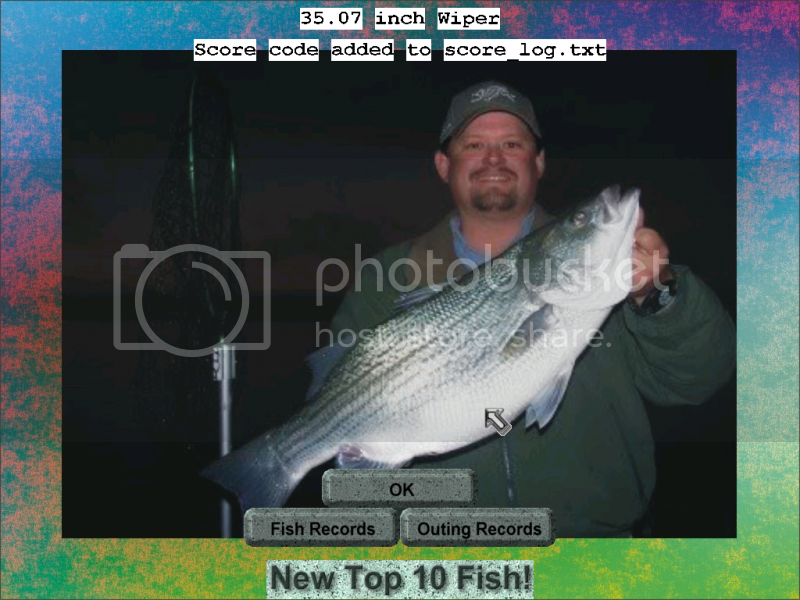 After making a few slow runs back and forth, I gave another quick jerk on the rod to make sure the hook was well set. 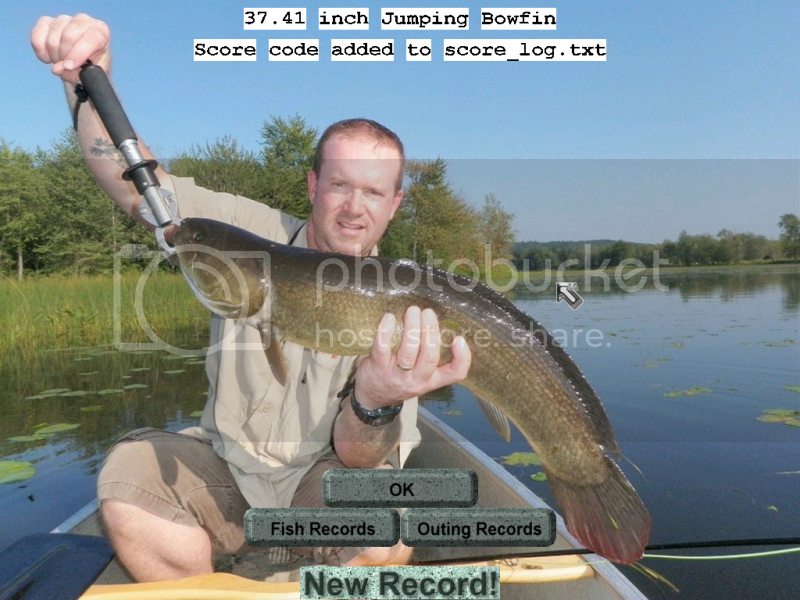 All of a sudden a 40+ inch Muskie completely came out of the water, gave a head shaking somersault and threw the hook. What else could i do but set there with my mouth wide open, astonished at just what happened. Well Martin redid the outing and told me that my muskie was there waiting for me to catch. Well after my 2nd attempt at fishing this outing, I have caught my Muskie. This is another excellent outing. Just like his Australian Sunset outing, it's really enjoyable to fish. Alot of hard hitting action and heavy fighting, you almost think on some of the fish you hooked a submarine. The Jumping Muskie was fabulous. I lost a few from them throwing the hook, but finally played the one I caught till I landed him. Make sure you use some heavier tackle and fish different depths. That's what it took to catch the wide variety of fish. 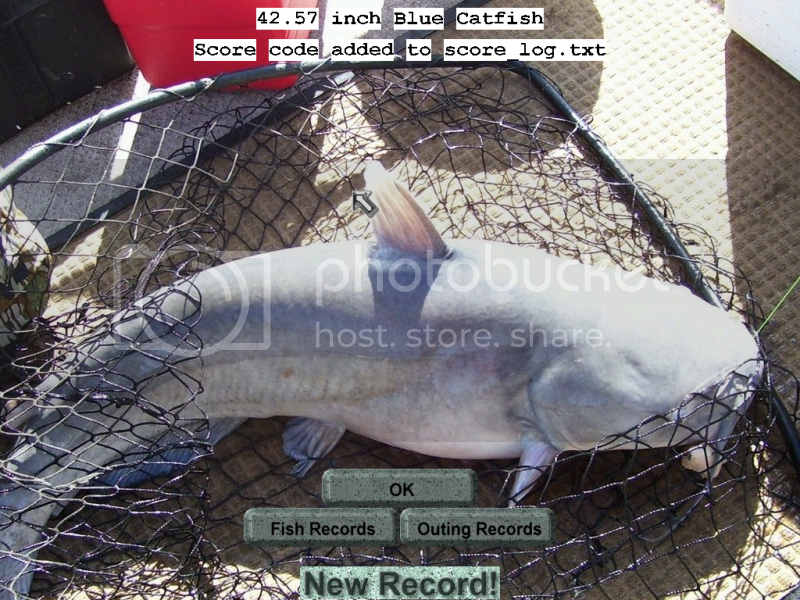 Make sure you check out the Flathead Catfish. 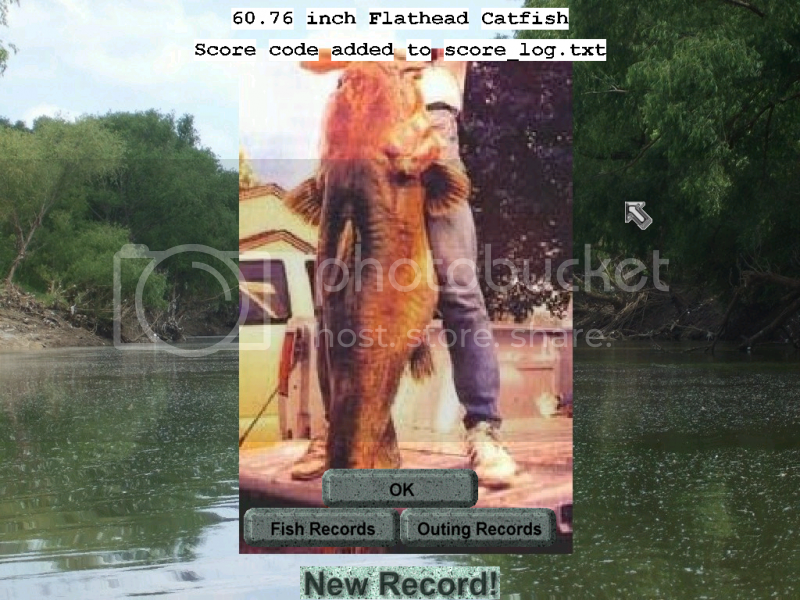 If I'm not mistaken, this is the picture of the World Record Flathead. Another excellent outing Martin, I give this one a A++. To all the fish developers another excellent job on your fish. Here's My caught list and the pictures to go along with it. P.S. I caught all these fish on my Walleye Jig, It's what I mainly use in early spring and late fall, when the water is still cold. 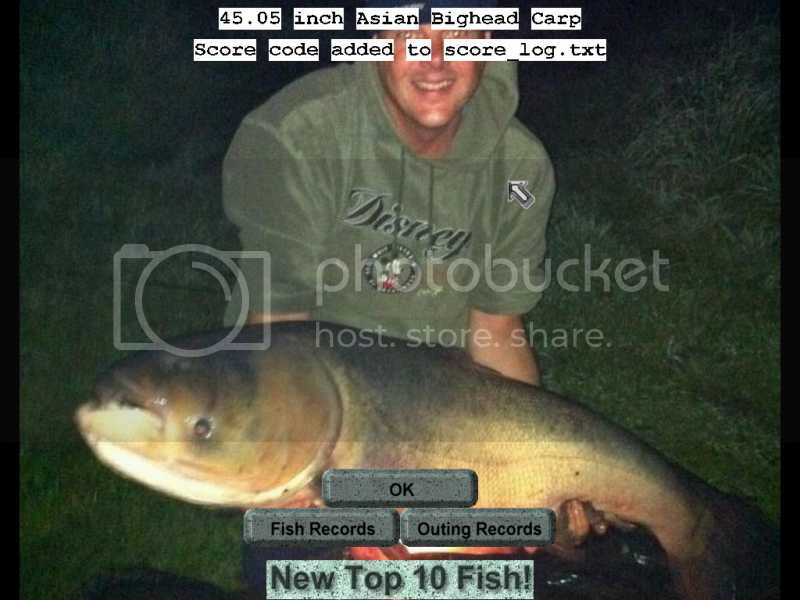 I've caught all these fish in real life on this jig, except for the Asian Carp and the Muskie. Holly Mackerel! 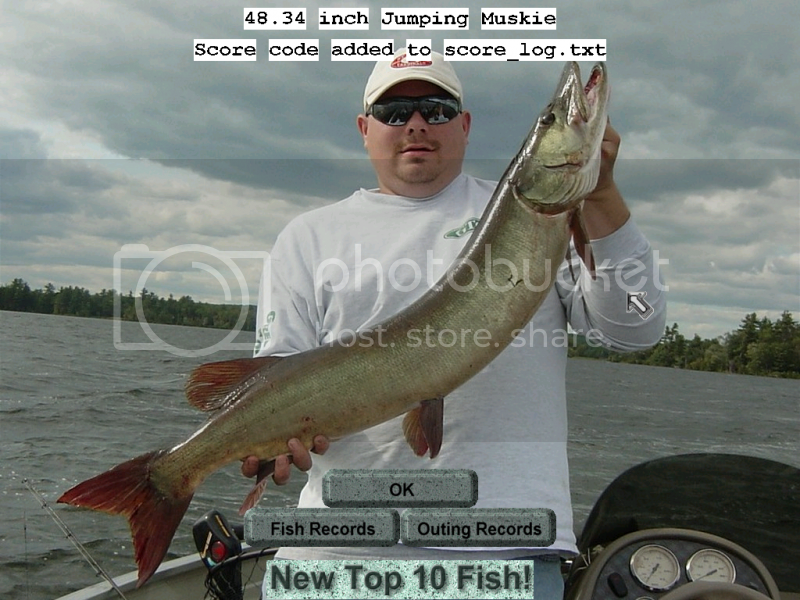 Or should I have said Holly Jumping Muskie. That is a big Muskie you got there. Looks like a very exciting outing from Martin. I am glad we have now a good fish library and outing creators can put in the right fish in the right location. That is quite a variety of fish that you caught. 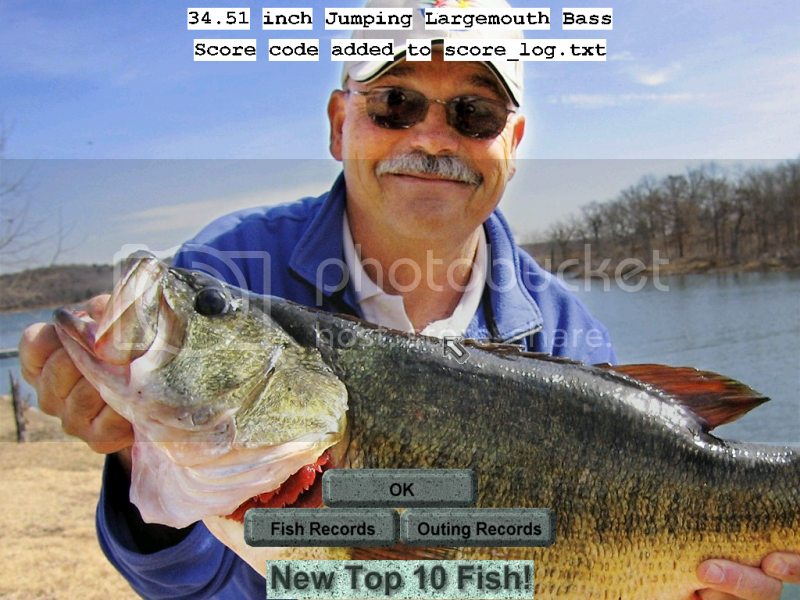 I am sure in real fishing though the fish will not be quite as large as those you caught but what the heck, this is a simulator and game and the aim is to have fun! Congratulations, great job! Awesome guide! Thanks for sharing with us! Stanley, thank you for the post, it's really great!